The Nassau County district attorney’s office wiretapped the cellphones of three former prominent Oyster Bay Town officials as part of an investigation into corruption, multiple sources familiar with the probe said. 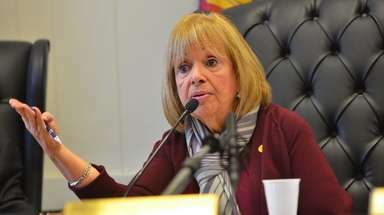 The wiretaps were used on cellphones belonging to former Supervisor John Venditto, former planning and development Commissioner Frederick Ippolito, and former public works Commissioner Frank Antetomaso, the sources said. The phones were wiretapped from last July to December, the sources said. None of the three men has been charged with any crimes by the district attorney’s office. The district attorney’s office sent out notices to more than 60 people whose conversations were intercepted on the wiretaps, as is required by state law, the sources said. The names of those who were informed of having their conversations intercepted could not immediately be determined. Newsday reported this month that Nassau District Attorney Madeline Singas has empaneled a grand jury to investigate corruption in the town, several sources said. Ippolito and Venditto have both been the target of recent federal investigations. Venditto resigned in January after he was indicted on bribery and kickback charges along with Nassau County Executive Edward Mangano. Mangano and Venditto are accused of receiving bribes from a Long Island restaurant owner who also gave Mangano’s wife, Linda, a lucrative no-show job. 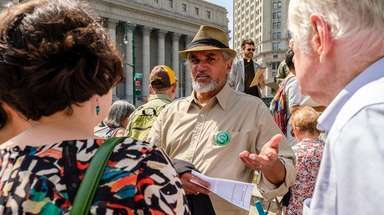 The federal corruption charges center on a relationship involving Mangano, Venditto and a person identified only as a co-conspirator in the 13-count indictment, but whom sources have identified as Harendra Singh. Mangano and Venditto are charged with conspiracy to commit bribery, fraud and obstruction of justice. Mangano is also charged with extortion, and Venditto is charged with making false statements to federal agents. Both Venditto and Mangano have pleaded not guilty and are awaiting trial on that case. 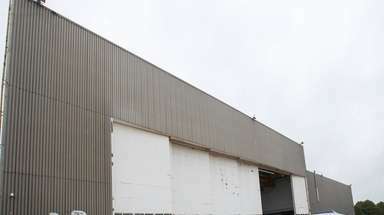 In a separate federal case, Ippolito was sentenced to 27 months in federal prison in September after pleading guilty to evading taxes on $2 million in outside consulting fees he collected while working for the town. He resigned from the town post in January 2016. 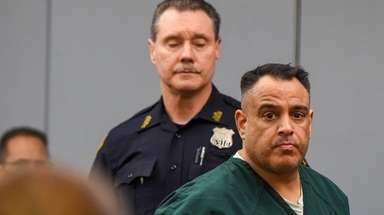 Antetomaso accompanied his longtime friend Ippolito to his presentencing and sentencing hearings in federal court in Central Islip and helped push his wheelchair in and out of the courthouse. Antetomaso left as the head of town’s Department of Public Works in 1989. 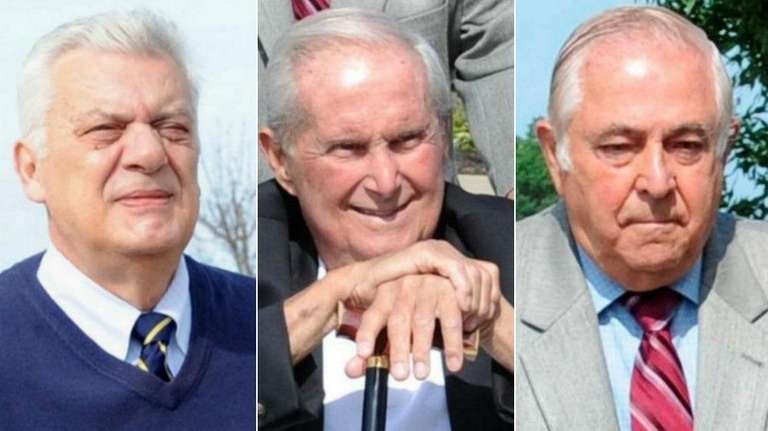 Ippolito and Antetomaso were longtime power brokers and — along with the late former supervisor Joseph Colby — wielded influence on Oyster Bay politics in the late 1970s and early ’80s. The Nassau district attorney’s investigation is separate and not coordinated with a continuing federal investigation into corruption in Oyster Bay, the sources said. Venditto’s attorney, Marc Agnofilo of Manhattan, said his client has done nothing to break either state or federal law. 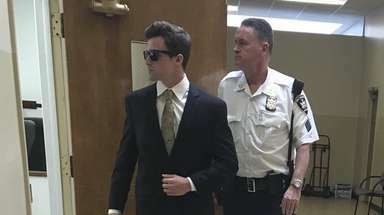 Antetomaso’s attorney, Joseph Conway of Mineola, declined to comment. 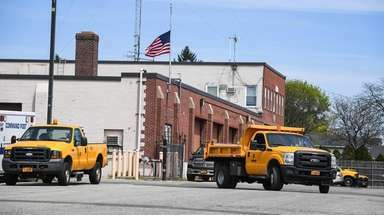 The $2 million Ippolito did not pay taxes on came from Carlo Lizza & Sons of Old Bethpage, a paving contractor that has worked for the town, as well as a Lizza family trust, federal prosecutors have said. Nobody affiliated with the Lizzas has been charged in that federal case. Investigators are looking into violations of state criminal laws, the sources say. The Lizza business, considered one of the largest road contractors on Long Island, has had tens of millions of dollars in contracts from both Oyster Bay and Nassau County over the years. Members of the Lizza family are political contributors to both Republican and Democratic politicians, including former Democratic Nassau District Attorney Kathleen Rice, who currently is a congresswoman from Garden City. More than half of the political contributions went to the Nassau Republican party, a Newsday study found in 2015. The attorney for the Lizzas, John Carman of Garden City, declined to comment, as did Brendan Brosh, a spokesman for Singas. John Marzulli, a spokesman for Eastern District federal prosecutors, also declined to comment.